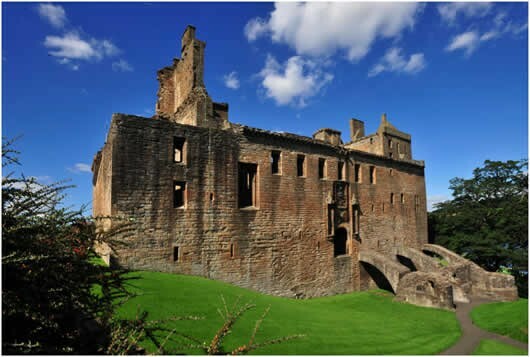 Linlithgow is home to two adjacent Ecomuseum sites - Linlithgow Palace and St Michael's Church. 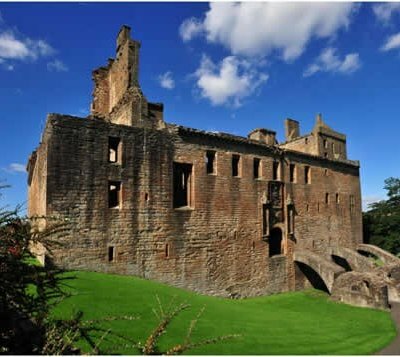 Linlithgow Palace was a superb Renaissance retreat of Scotland’s monarchs that retains much of its grandeur today. From this favourite residence, James IV issued the orders to raise his army before that ill-fated march into England – and this was where his wife Margaret waited in vain for his return. Just over six weeks before his death at Flodden, James IV left Linlithgow Palace for the final time. During his reign, the king remodelled this favourite royal residence into a fitting home for a European monarch. Much of what visitors can see today was shaped by him and reflects the magnificence of his royal court. James used the adjacent St Michael's Church to pray in and one chronicler claimed that prior to quitting Linlithgow to make war with England, James was confronted by an apparition, possibly in neighbouring St Michael’s Church. It warned him: ‘Thow sall not fair weill in thy jorney.’ It was an ill omen that the king chose to ignore. James had reputedly given the palace to his wife Margaret as a wedding present. Legend has it that the queen – the sister of the English King Henry VIII – sat in its highest tower, watching for her husband’s triumphant return. Parking is available at the palace. Linlithgow is well connected by road and rail from both Glasgow and Edinburgh, the M9 passes close by.